Competing for business online has never been more challenging. 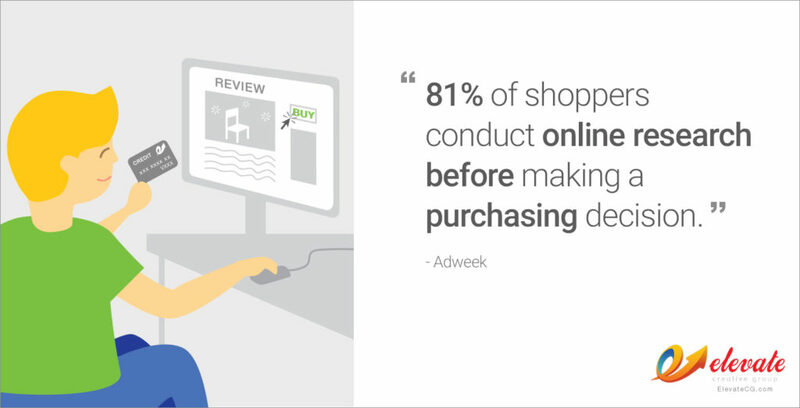 A staggering 81% of shoppers conduct online research before making a purchasing decision (Adweek), and why wouldn’t they with all the available tools and resources online to do so? 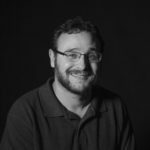 But these days merely having a website won’t be nearly enough to attract and engage your web users, ultimately driving sales and increasing revenue. How well designed, modernized, and optimized your website is will play a crucial role in whether you turn web visitors into customers. As my dad used to constantly remind me, first impressions are everything; according to a recent study, 94% of website users’ first impressions are design-related. In short, that first landed look is everything—it sets the tone for the entire user experience. So how can you ensure your website is built so that it’s both eye-catching and conversion-generating? It’s all about enhancing the user experience. Below I’ll discuss how designing web experiences (usability, accessibility, etc.) can increase overall user satisfaction, establish trust, and form lasting relationships with potential longtime customers, ultimately providing long-term ROI. What Is This User Experience (UX) Design You Speak Of? User experience design (colloquially, UX design) is a design process that focuses on enhancing the usability and accessibility of a product in order to improve user satisfaction and loyalty. In web design, this pertains to designing a website specifically around the needs and requirements of the website’s target users to ensure their interaction with the website is positive and the site’s bounce rate (the percentage of web visitors who leave a site after viewing only one page) is minimized. graphic design: using stylistic choices relating to font color, font type, and image locations, to enhance the aesthetic appeal of the website. visual design: to ensure the visual representation of the website’s design effectively communicates information and conveys brand ideals. interaction design: to establish priority of information, flow, and functionality in the website interface. The UX web design process involves several important steps that center on each client and their customers’ specific needs and requirements in order to deliver a final product that is inherently user-friendly and profoundly, resoundingly personalized. Research & Discovery: necessary time is spent to understand the proposed site’s end users (e.g., the target audience of the client’s website). Interviews with clients are conducted to form an understanding of their customers and get into their mindset. This stage of the process culminates in the crafting of user personas, fictional characters invented with the express purpose of creating an experience around prospective customers/probable users as opposed to making a website with no end user in mind. Design: website content is then developed and structured in terms of the “customer’s journey,” a series of steps the end user will take when interacting with the website. Website wire framing, physical illustrations to depict the structure of the final site, begin with dedication to improving effectiveness and ease of page navigation in order to enhance the overall user experience. Prototyping: drafts of the website are produced. These prototype drafts can range widely in form, from paper prototypes, to high-definition visual mockups, to live mockups developed with code. The prototyping stage is meant to experiment with design and to perfect the product; drafts are adjusted and fine-tuned to remove errors and inconsistencies to ensure a fully realized final site is implemented. Implementation/User Testing: following the completion of a solid prototype, the site is tested for effectiveness and user satisfaction. This may range from simple testing such as observing user interaction, to more complex, robust testing methods such as presenting variations of the site (known as A/B testing) to the public in order to identify which version is best received and to ensure the optimal user experience is delivered. 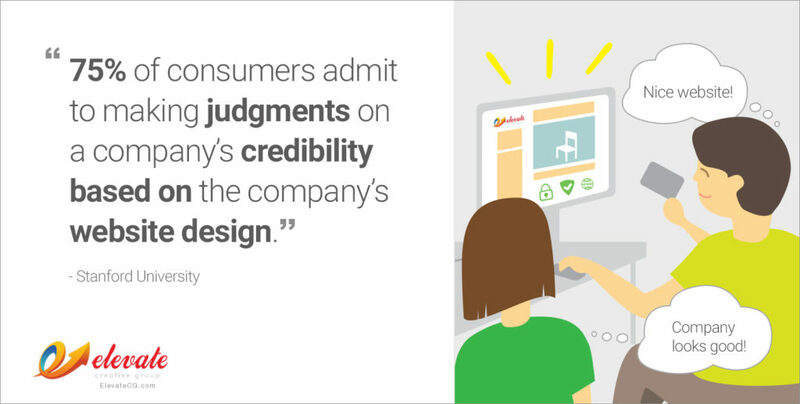 Good UX design is a business necessity that executives can’t afford to ignore. It’s simple when you think about it. We’re in the the modern age of web design, not the early days when simply having a website was a big deal. Today, competing in business requires having a website. But having a good website, an excellent, authentic web experience, ensures engagement, which drives conversions. Considering that, given 15 minutes to consume content, two-thirds of people would rather read something beautifully designed than something plain (Adobe), or that 52% of users said that a bad mobile experience made them less likely to engage with a company (Think with Google), investing in good UX sounds pretty smart, doesn’t it? Think about it. Forward-thinking web users, who have no shortage of search terms to enter into Google, no short list of business’s websites to peruse before making a purchase decision… when they’re faced with good or bad UX, 79% of people who don’t like what they find on one site will go back and search for another site (think with Google). In fact, elegant UX design that’s properly executed isn’t just good for ROI. For clients, it’s a victory lap, a controlled experiment dedicated to engineering an online experience that resonates for their users, giving those users more reasons to engage with the website interface, and ultimately converting web users into customers and long-term relationships. 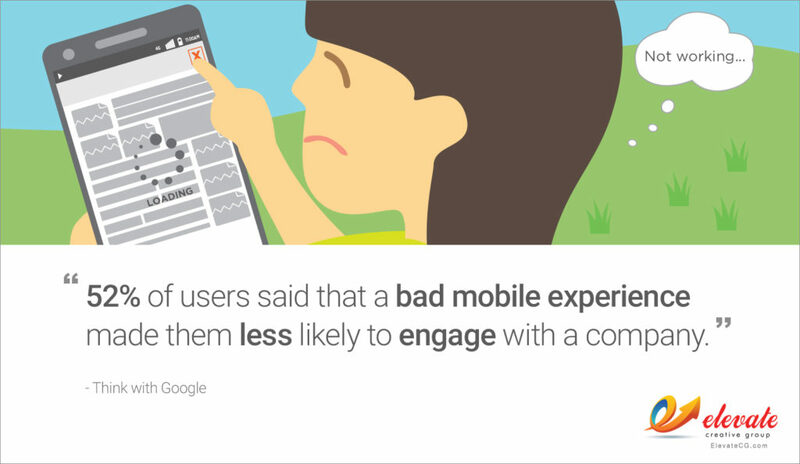 In short, UX is after lowering bounce rate. After all, you don’t want people to click onto your site, look at bland content and web graphics, turn up their nose, and click off, returning to the search engine to find a site more appealing to their eye, especially if you paid for those clicks. But UX is also so much more than that. You want people to engage with your site? Then deliver a profoundly exciting experience. In 2018, when business is ultracompetitive, it’s no surprise that hyperaware, UX-oriented brands like Apple, Google, Adobe, Dropbox, and Amazon are the leaders of their respective fields. Looking to increase revenue this year? It starts with enhancing your user experience to truly reach and engage your prospective online customers. Once you’ve engaged them, conversions follow, and thereafter, revenue will increase. If your business needs help with your 2018 UX strategy, please contact us HERE to learn more.